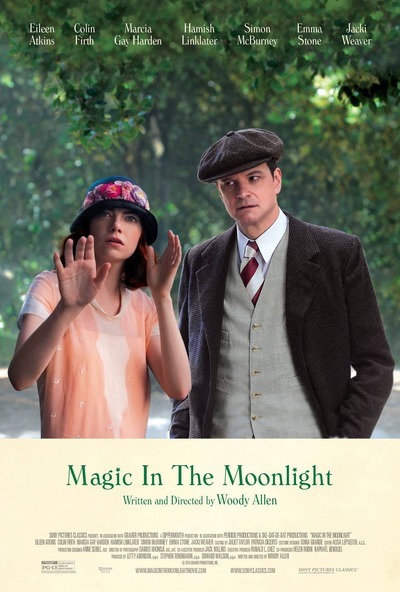 With all the buzz of Woody Allen in town this summer shooting his next film starring Emma Stone, Joaquin Phoenix and Parker Posey, it seems like tonight’s premiere of Allen’s latest release, Magic in the Moonlight, has a palpable Hollywood vibe surrounding it. But that’s not the only reason. For the first time ever, The Hollywood Ticket is available to film patrons. This exciting new debut makes theater-goers feel like the glitterati by providing a celeb-style swag bag with exclusive fab finds—all without an Academy Award invitation. The bag is said to be filled with artfully assembled exclusive merchandise, samples, the women’s travel guide “Naughty Paris” by former Elle.com Magazine Travel Editor Heather Stimmler-Hall, beauty products, chocolate, fashion, jewelry and special offers from emerging lifestyle brands. “We are delighted to pilot The Hollywood Ticket ,” said Jane Pickens Theater & Event Center owner Kathy Staab. Entry filed under: Uncategorized. Tags: “Naughty Paris” by former Elle.com Magazine Travel Editor Heather Stimmler-Hall, Emma Stone, Emma Stone newport ri, Heather Stimmler-Hall book, Joaquin Phoenix, Joaquin Phoenix newport ri, magic in the moonlight, magic in the moonlight woody allen, movies shot in newport ri, Parker Posey, Parker Posey newport ri, the hollywood ticket, the hollywood ticket swag bag, what's in the hollywood ticket bags, woody allen newport ri.